Steam’s publisher weekends are always filled with great deals for the customers of a particular company, but they’re also a great time for gamers to jump into a new series or single game. From February 5th to February 9th, Square Enix games are going on sale as this weekend’s publisher of choice. With deals up to 85% off, it’s worth taking a look at some of the titles to expand your game library. 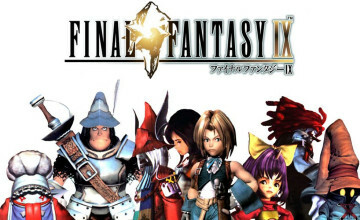 Square Enix is primarily known for their huge Japanese RPG franchises of Final Fantasy and Dragon Quest (unfortunately, without PC ports), but the 2009 takeover of Eidos by the RPG juggernaut means that you can also find mega hits like the Tomb Raider series and everyone’s favorite numbered assassin with the Hitman games. Everyone is on a budget, so let’s take a look at some of the best deals. It’s hardly fair to put this on the list, but it’s clearly the best deal you’re going to find in this sale. With 34 different games, including Tomb Raider, Hitman, Deus Ex, Just Cause, and more, you’re going to get your bang for your buck. Older games published before Square Enix’s acquisition of Eidos are included in this bundle, so you can get your old-school Lara Croft in next to some Legacy of Kain alongside the 2010 and up games. Bundles have always been some of Steam’s strongest deals, even if they haven’t made a prominent appearance during their summer/winter sales in recent years. However, if you’re a fan of even one or two of the franchises listed in this pack, you should give serious thought to picking this one up. 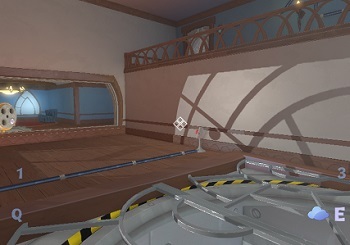 Did you like Portal? Have a thing for platforming-puzzle games? Do you find yourself mesmerized by the enchanting voice of John de Lancie? Well, why haven’t you been playing Quantum Conundrum? Playing as a young boy who visits his rather eccentric uncle, you find yourself wielding his newest invention: a device that allows you to switch between dimensions to solve puzzles as you make your way through this mansion of a crazy scientist. Quantum Conundrum is a lighthearted game, and it’s really fun to exploit the dimensions to pick up a floor safe in the fluffy and soft dimension, then hurl it and switch back to normal to see the increased weight have its effect. Definitely worth the buy for that alone, but the key to this game is in the narration. While GLaDOS insults and taunts the player at every turn, your uncle takes a much more dry and sarcastic approach as you break your way through his home. Noted actor John de Lancie lends his fantastic voice to the missing uncle, who is there with you every step of the way to make sure you know how much of a genius he is for making these inventions or how he really liked that window you just broke. It’s a fantastic playthrough and a great deal at the current sale price. 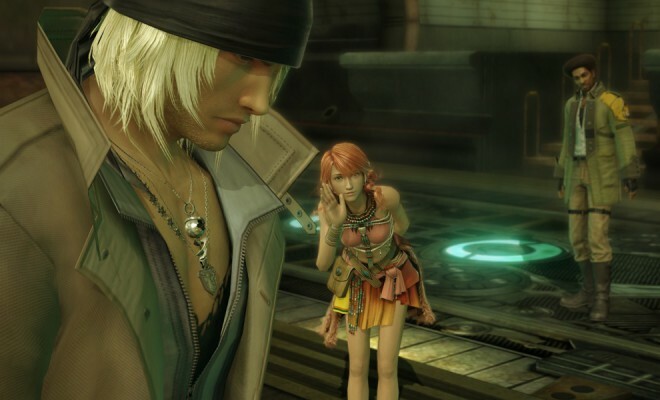 While all of Square Enix’s Final Fantasy games are 50% off right now (the ones on Steam, anyway), Final Fantasy XIII-2 was too new to receive more than a minor discount during the 2014 Holiday Sale. With this sale though, it finally drops below 10 dollars! 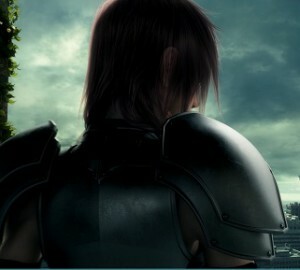 Unfortunately, the game’s status as a direct sequel to Final Fantasy XIII means that it is very difficult to discuss the story without spoilers. 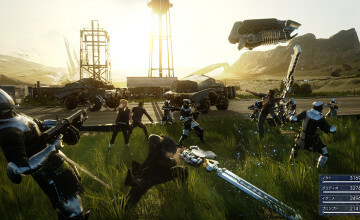 Focusing more on specs, I can say the game is praised for some refinements to the first game’s gameplay and a less linear storyline than XIII, and the Steam version includes a great deal of the console downloadable content for free. However, if you’ve not played Final Fantasy XIII yet, never fear. It is on sale for $7.99 along with Final Fantasy III and Final Fantasy IV, and you can pick up the classics from the Sony PlayStation era, Final Fantasy VII and Final Fantasy VIII, for $5.99. My opinion is that while all are certainly good games, the quality of III and IV are lacking due to being ported to PC based off of their mobile releases. Pick these two up for Nintendo DS or on the PlayStation Network instead, while giving the other steam releases a try during the sale. You’re going to get your money’s worth in playtime, believe me. 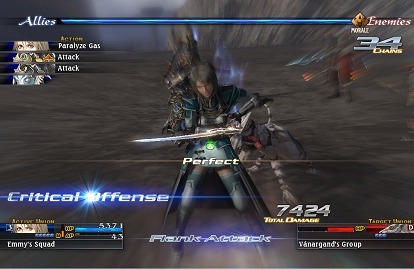 The Last Remnant is something wholly unique from most Square Enix titles. I went into the game expecting something very similar to a Final Fantasy game, simply because it was a pretty Square Enix game. Not what I got by any means. The Last Remnant is set in a world with four different races: the humanoid Mitra, the large and bulky Yama, the small, amphibious-looking Qsiti, and the four-armed, feline Sovani. Scattered across the world are Remnants, ancient artifacts that can be bound to one individual with amazing power. You play as Rush Sykes, a boy who is drawn into a world-spanning conflict due to the kidnapping of your sister. The party and battle system is one of my favorites, because it’s very different from most RPGs. You have an extraordinary amount of party options through generic and unique soldiers, whom you place in unions for battles (up to five people in a union). Because of this group, your commands are limited to generic commands (use combat skills, mystic skills, items) or union-leader specific commands; one leader, David, can use the remnant he is bound to to unleash a gigantic magical cannon. Other leaders can call mighty summons to the battleground that you don’t control. Your placement in battles is important, because when a union attacks an enemy union, both sides are vulnerable to flank attacks. It’s certainly not the old formula of clicking attack – magic – item. While I’ve seen The Last Remnant at a lower price on Steam in the past, it did not dip below the current sale price on the 2014 Winter Sale, so this could be as low as it goes. It’s a fantastic game though, and easily one of my favorites. The PC port also gives you more party options than the console release; it can use a few .ini tweaks (noted on the store page by Curators), but it’s the superior release in my opinion. If you’ve only got five bucks for this sale and you’re an RPG man like me, pick this one up! It even has a fantastic wiki to help you learn the game and keep you from missing sidequests. Of course, there’s other deals on this sale: individual Eidos packages, Sleeping Dogs, the Dungeon Siege games, etc. These four sales are the stand out deals in my opinion, but when there’s a Steam sale, everyone wins! Especially when we’re trying to feed our gaming habits on a budget. Played any of these games before? Wanna point out something better during the sale? You know the drill; leave me a comment down below.